Cook says. “Divorce and custody battles are some of the most anxiety producing events in a person’s life. I’m here to help reduce the anxiety by explaining the process, advising my client and getting the matter over as quickly as possible without sacrificing too much. Whether that’s through settlement or trial, of course, depends upon the circumstances,” he adds. Cook’s career prior to opening the doors of his solo practice in 1995, was in a far different field. Beginning in 1980 while attending the University of Vermont, Cook began a career in radio broadcasting. Though he didn’t know it at the time, the experience would serve him incredibly well in the future as an attorney. “My radio career wasn’t for naught. I have a good speaking voice. It gave me experience performing under pressure, including writing succinctly and getting to the point as quickly as possible. I also have a good idea of what the audience- now judge- needs to hear and doesn’t need to hear. I am prepared, so when it’s show time, there are no big surprises,”he reflects. Cook was dissatisfied with his career in radio broadcasting and by 1990 decided to change course. “The fact that I would be dealing with very smart people was what drew me to the law,” he says candidly. He was accepted to California Western School of Law and drove cross-country from New Jersey (with all of his possessions in a Honda) having never before stepped foot in San Diego. “I was 27 when I started law school which was actually, I think, the average age for entering students at Cal. Western. But I might as well have been on social security. I was very age conscious, and I felt an enormous amount of pressure,” he says. However, that pressure translated into extraordinary success and results. Cook became an honors instructor for first year law students. He was member of the Traynor Moot Court Team, which shared first place for brief writing and took second place in oral arguments, out of 18 teams. He was selected as only one of two students who were chosen from a pool of 25 to participate in the National Moot Court Competition. Cook was also listed in Who’s Who Among Students in American Universities and Colleges. After an internship and clerking positions, including one in the Civil Division at the San Diego City Attorney’s office, Cook took his first job working in insurance defense. When he decided to branch out on his own and start his own firm, his insurance defense work proved a valuable background. “I initially opened a civil litigation practice. Family law was going to be one of many areas in which I practiced,” he says. “It falls under the same general guidelines, rules and procedures as civil law,” he adds. However, his family law practice took off much quicker than other areas of law. “Family law cases arise with more frequency than other civil matters. This made it easier for me to get more family law cases in the early days,” he explains. Moreover, “I saw that it was going to be a lot easier to have a thriving practice if I focused on one area. I wanted people to know exactly what I did,” Cook says. With that, he focused his sights exclusively on family law and set about to become a true specialist in the field. From 1995-2001 Cook built his Family Law Practice from the ground up, with a few guiding principles and daily disciplines. “I do what I say I am going to do. I return calls. I listen to my clients. They often feel like no one listens to them. I listen closely before I explain anything,” he says. Continuing, Cook explains that specific disciplines have proven helpful to remaining ahead of the curve in his career. “I have subscribed to the Los Angeles Daily Journal for 19 years. I am up to date on developments in the legal community ranging from discipline to judicial profiles to published cases. I also make it a habit to go online every day and read the unpublished cases. You can’t cite them, of course, but I want to know what is going on,” he says. “I also make it a point to go to the State Bar’s Annual Meeting every year, regardless of location. It is a way to meet other people and learn more, both substantively and about the practice of law,” he adds. Additionally, Cook says, “I place a premium on doing points and authorities, and doing a really good job of quickly explaining the situation in an easy to read fashion. And although I know how to settle a case (and most of my cases do settle), I know when to fight. And when I fight, I will not back down regardless of the difficulty, anxiety or pain that might entail,” he says. But for Cook, the biggest game-changer in his career occurred when he received a flyer advertising the course that many people take to prepare for the family law specialist exam. “My wife encouraged me to take the exam,” he recalls. He passed the exam and was subsequently certified as a family law specialist by the State Bar of California, Board of Legal Specialization in 2002. The certification certainly helped Cook to earn the respect of colleagues and clients, but his commitment to delving even further into his area of specialty caused judges to take notice. Beginning in 2007, Cook began serving as a temporary judge in the Family Support Division of the San Diego County Superior Court. To date, he’s served in the role more than 35 times. 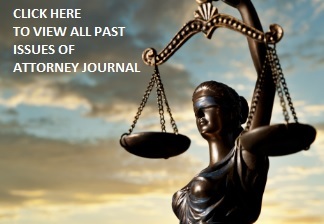 In 2010, an advertisement in the Los Angeles Daily Journal offered training for temporary judges in all aspects of family law. “In San Diego, temporary judges only serve in child support aspects. In Los Angeles, temporary judges handle all aspects of family law,” he says. Of course, as an attorney, Cook has earned his stripes ten-fold. He represented the winning spouse in the published appeals case Marriage of Stanton (2010) 190 Cal.App.4th 547 [holding that housing benefits for members of the military constitute “income” for purposes of calculating child and spousal support]. Cook’s eagerness and willingness to participate in his field is frankly incomparable. “Who else in San Diego County besides me would get up at 4:30 in the morning to volunteer as a family law judge in Los Angeles?” But for Cook, the extra effort is just part of what makes him a true specialist, and perhaps more importantly, he enjoys it. “I spend my spare time studying law. It is my passion. And I really like educating younger lawyers,” he says. Cook was the co-presenter of the case law and statutory update at the 28th annual Winter Seminar sponsored by the Certified Family Law Specialists of the San Diego County Bar Association. He has also been a guest speaker for California Western School of Law’s elective course on starting a family law practice. Cook also counts memberships in the Consumer Attorneys of San Diego, the Tom Homann LGBT Law Association and the Lawyers Club. And recently, he began serving the legal community even more through his election to the San Diego County Bar Association Board of Directors. Since 1994, Cook has been active in the SDCBA. As a former co-chair of its Young and New Lawyers section, he is a member of its Family Law, Carmel Valley and Civil Litigation sections. He is also a member of its Ethnic Relations and Diversity, Fee Arbitration, Appellate Court and Bar History Committees. He has served as a fee dispute arbitrator for the Association since 2000. Now, he adds his appointment to the Board of Directors to that involvement. “I don’t give up,” Cook says. “I think my perseverance, consistency and hard work are my hallmark characteristics. When I was elected to the SDCBA Board of Directors last fall, it was on my fifth try. Who else in the history of the Bar, going back to 1899, has done that?” He continues, “But involvement in the legal community outside of working hours is essential, because other lawyers are usually going to be your best source of referrals. As a solo practice, the number of attorneys you meet may be limited. You need to meet other attorneys just to learn what to do, and what not to do,” he says. Clearly, Cook’s dedication, discipline and reliability have resulted in admirable consistency. “I have run my own practice for 19 years. It has always been my practice. There is no revolving door of different partners. I’ve even had the same landlord the entire time,” he says with a chuckle. Yet it is precisely this consistency that has served to enhance his reputation as a solid, reliable attorney for individuals going through an extremely difficult time. “I have no intention of changing course. Why would I? I like what I do,” he says.